You will be redirected to our secure checkout page. How did we get the Bible? How accurate is the Bible? Is the Bible still relevant today? You’ll find helpful and well-documented answers backed by careful research and exclusive interviews with some of today’s top theology and Bible history scholars, including Dr. Craig Blomberg, Dr. Darrell Bock, Dr. Gary Habermas, and Dr. N.T. Wright. 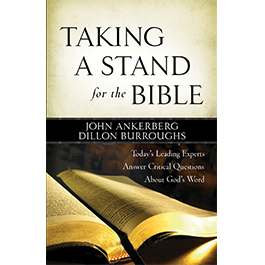 Together they point to remarkable evidence that affirms the Bible’s integrity and reliability.